This representation of Ceres' Occator Crater in false colors shows differences in the surface composition. Red corresponds to a wavelength range around 0.97 micrometers (near infrared), green to a wavelength range around 0.75 micrometers (red, visible light) and blue to a wavelength range of around 0.44 micrometers (blue, visible light). 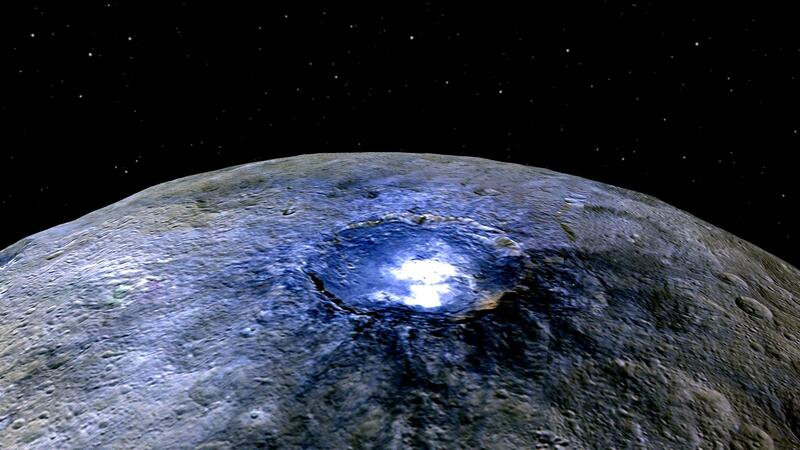 Occator measures about 60 miles (90 kilometers) wide. Scientists use false color to examine differences in surface materials. 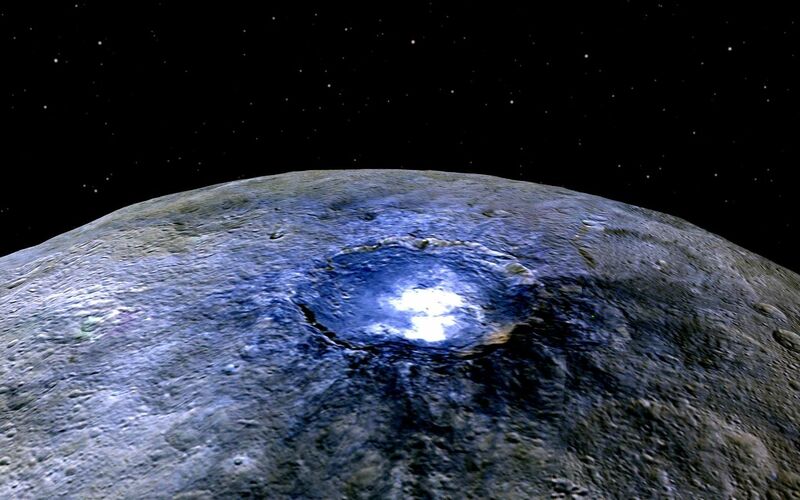 The color blue on Ceres is generally associated with bright material, found in more than 130 locations, and seems to be consistent with salts, such as sulfates. It is likely that silicate materials are also present. 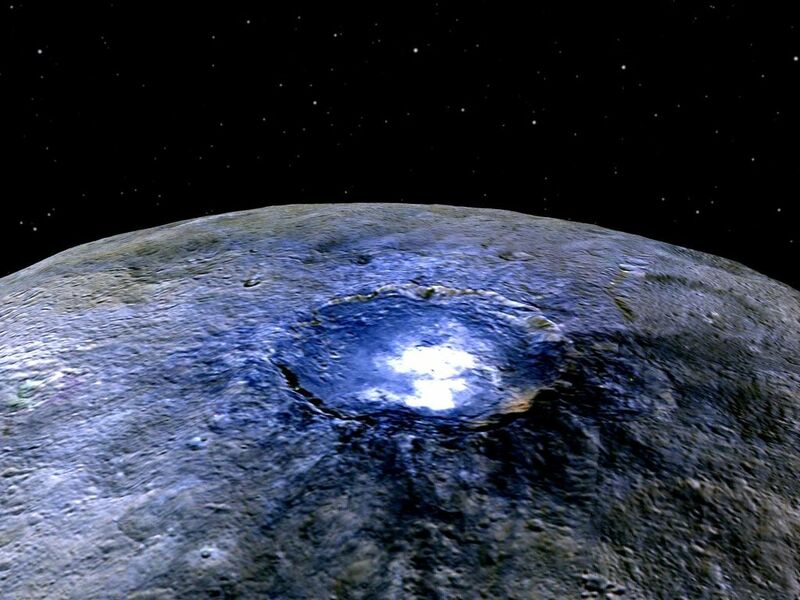 The images were obtained by the framing camera on NASA's Dawn spacecraft from a distance of about 2,700 miles (4,400 kilometers).